So you think Nendoroid Hatsune Miku: Family Mart version is the last product of collaboration between Family Mart and Hatsune Miku (and GSC) ? Well, apparently, the project continues with another new Nendoroid. 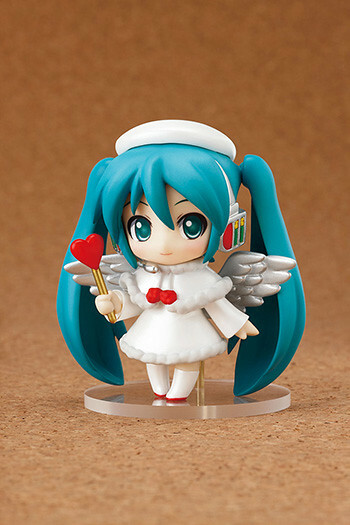 This time, the resulting product is Nendoroid Petite Hatsune Miku: Christmas Piano Cake version. 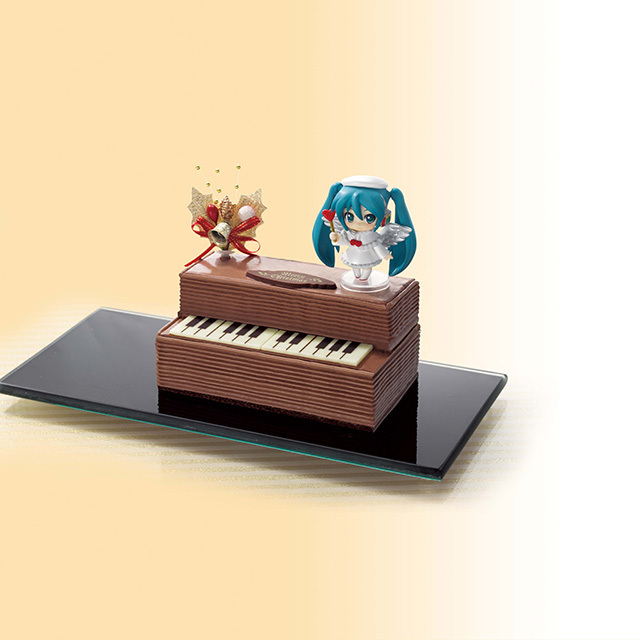 Yes, as the product name suggests, it is actually a piano-shaped cake with Petite Hatsune Miku (wearing love goddess-like outfit) on top of the cake; slated for Christmas Eve release. Anyway, this Nendoroid Petite (and the cake) will be available for pre-order starting October 2nd until November 26th, priced at 3900 Yen. The set will be released delivered on the Chrismas Eve (obviously! ), December 24th in Japan. This entry was posted in News and tagged family mart, famima, hatsune miku, nendoroid, petite, vocaloid, xmas.